The large aperture infeed is suitable for products in bulk flow or large bags and cartons. Detection sensitivity: Fe sphere 0.5 mm dia. / SUS sphere 1.1 mm dia. Auto-setting of a heavy product is performed by running conveyors back and forth automatically. Auto-setting with reverse run sorts OK products and NG products. This setting can be used when rejector is not used. 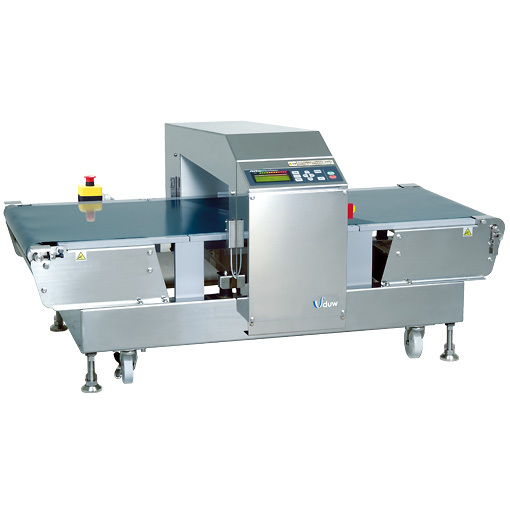 Each series features a variety of detection areas to suit a wide range of products. For details of specifications, please submit an online inquiry form.